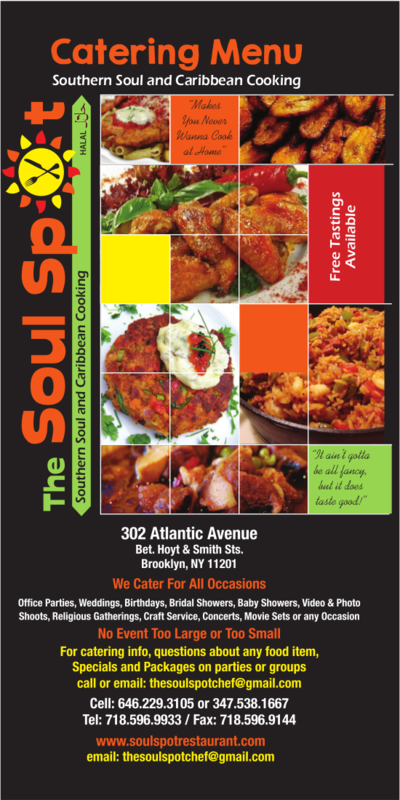 Tantalize your taste buds with a trip to The Soul Spot in Brooklyn, New York. 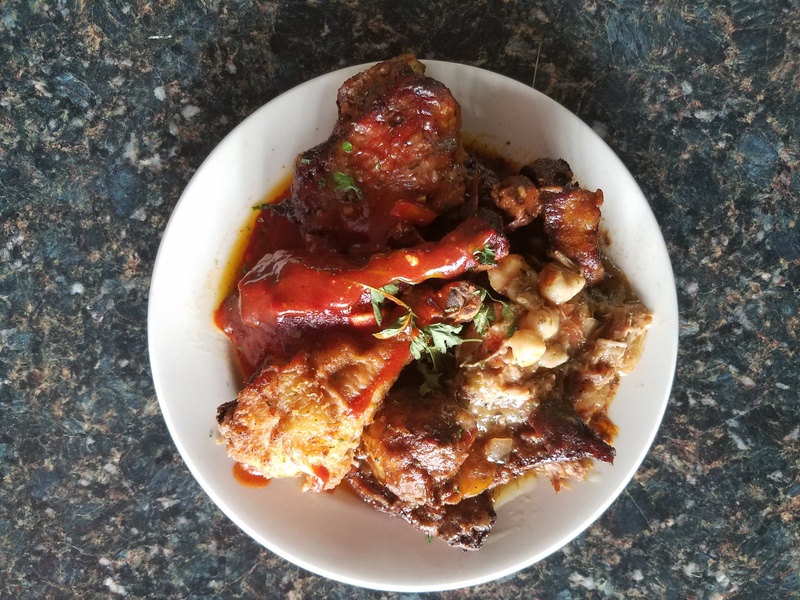 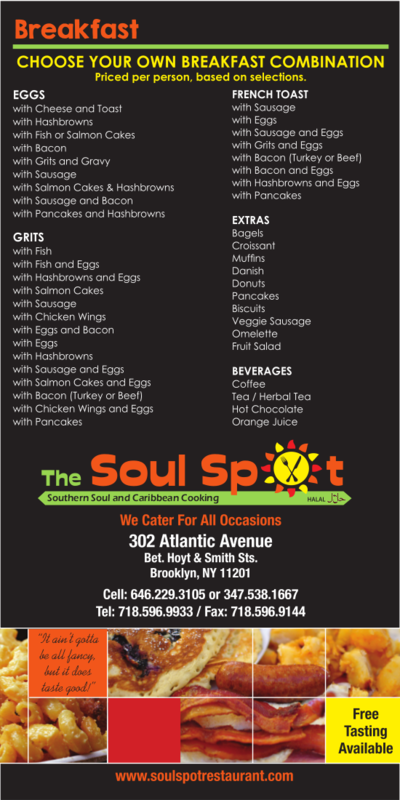 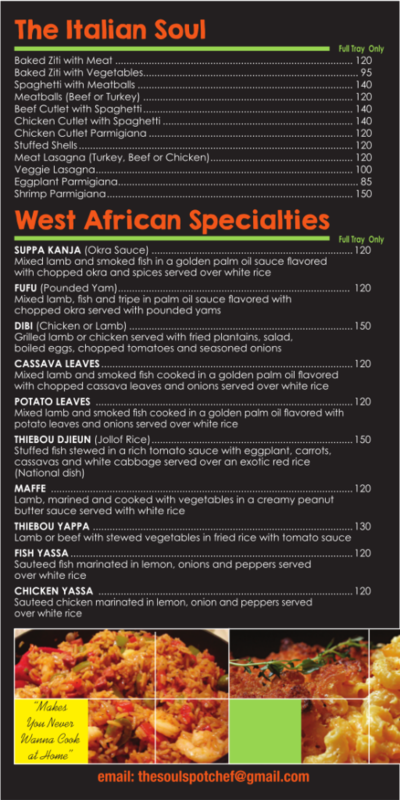 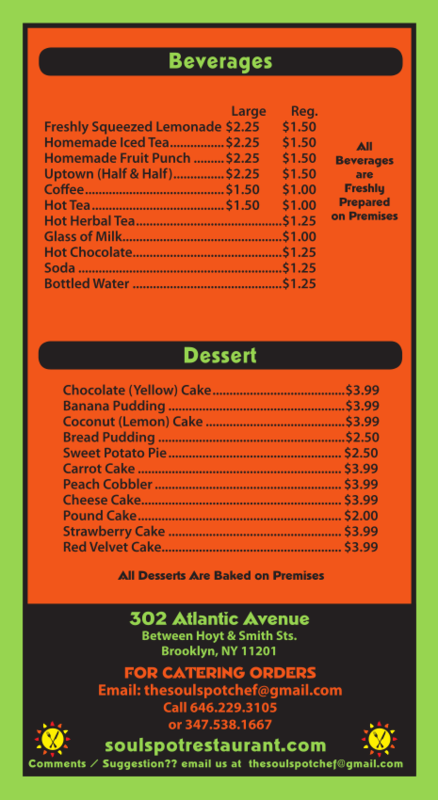 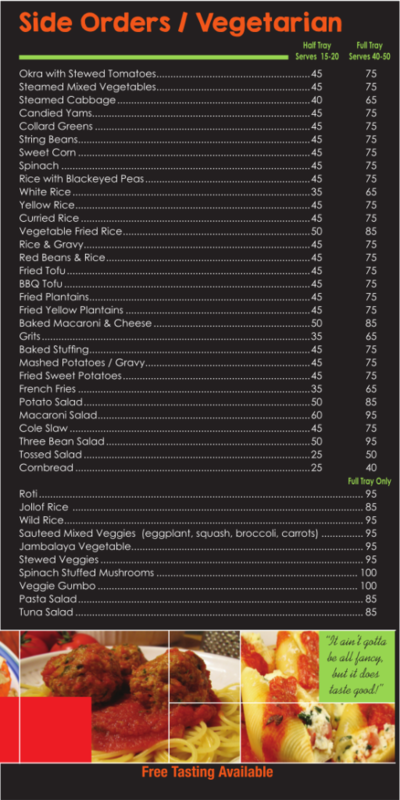 Our Soul Food restaurant has a Caribbean influence and offers dine-in, takeout, and catering services throughout the Tri-State Area. 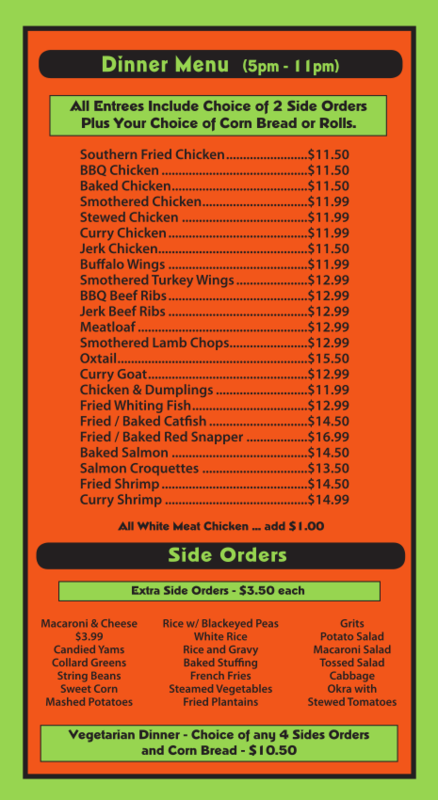 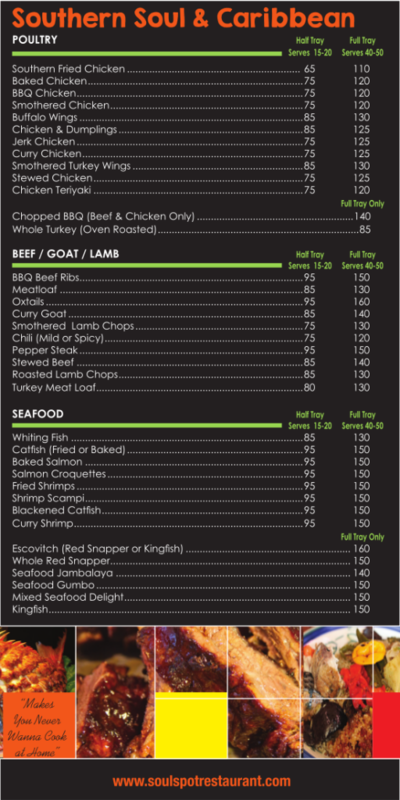 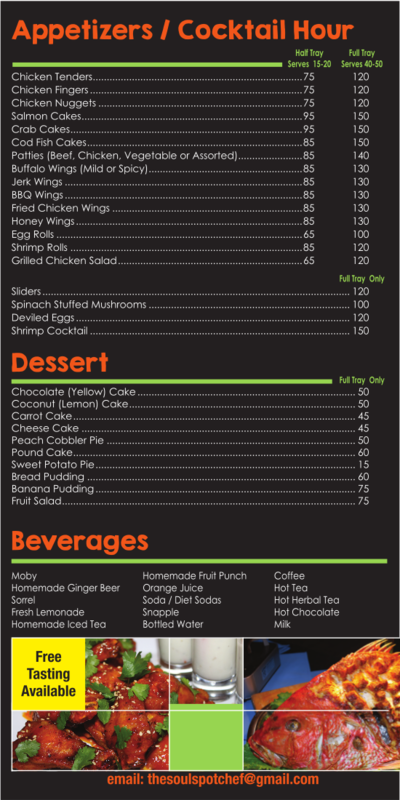 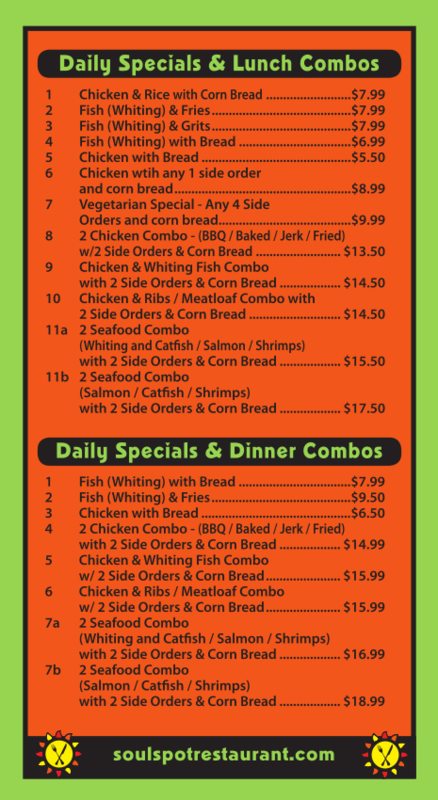 Contact us to place an order or request a full menu. 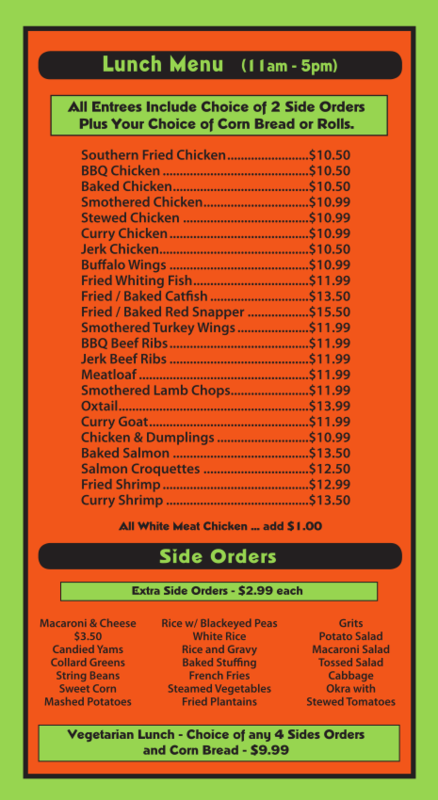 "Makes You Never Wanna Cook At Home." 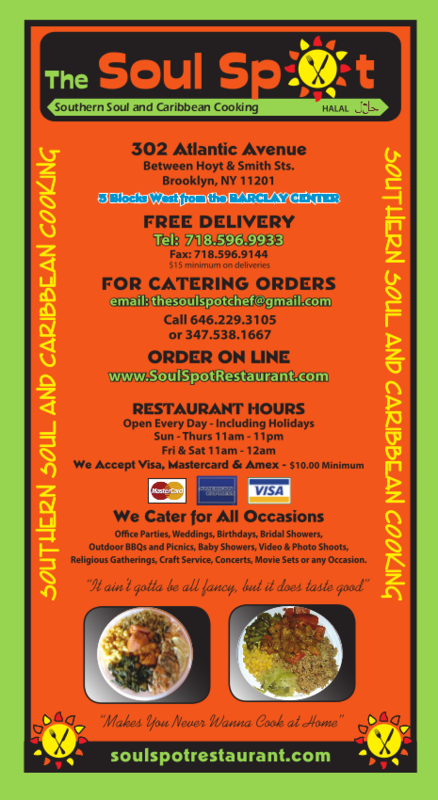 We have been providing the greater Brooklyn area with delectable soul food since 2003. 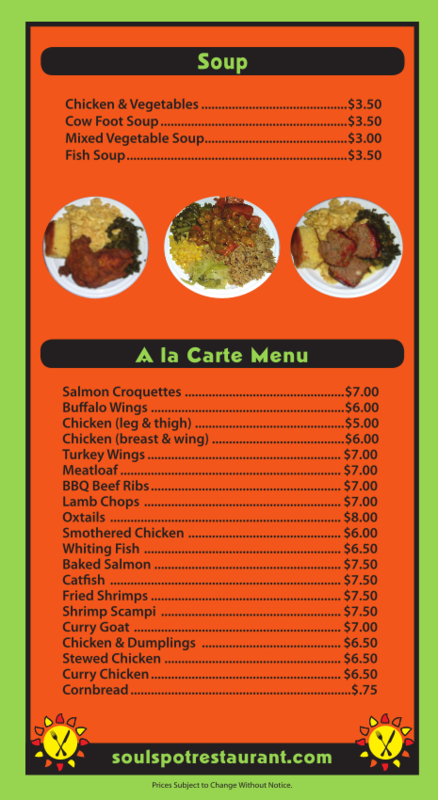 During this time, we have earned a great reputation among the community for our delicious soul food cuisine, friendly service, and convenient local catering.